I was in Durham earlier this month, and my gracious hosts sent me on my way with a copy of Bull Durham, the 1988 baseball film shot on location and starring Kevin Costner, Susan Sarandon, and Tim Robbins, and featuring William O’Leary, and I’m glad they did. Somewhere between the Homeric epic that is The Natural and the full-on comedy that is Major League sits Bull Durham, which is a nice story that will make you laugh but also will make you smile, and, moreso than any memorable images or acting performances, it’s the writing that really shines here. (Appropriately, it was nominated for an Oscar for best writing of a screenplay.) There are plenty of great movies– comedies and dramas– featuring other sports, but baseball seems to provide the most consistently viable vehicle for stories with broader appeal. If nothing else, Bull Durham answers that question asked by so many: What exactly goes on in those meetings on the pitcher’s mound? This entry was posted in ALDLAND and tagged baseball, bull durham, durham, movies by AD. Bookmark the permalink. Bull Durham, while a solid flick, still pales in comparison to The Sandlot, as far as baseball movies go. The Sandlot is a landmark, but the idea above is that Bull Durham and The Natural set the table for all of those baseball movies of the late 80s and 90s that followed. 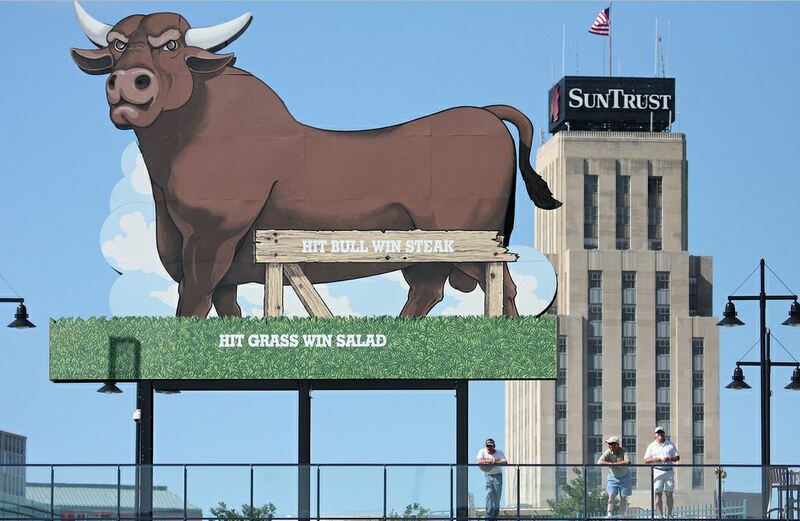 Remembering Bull Durham, twenty-five years later: http://www.sportsonearth.com/article/50216396/.